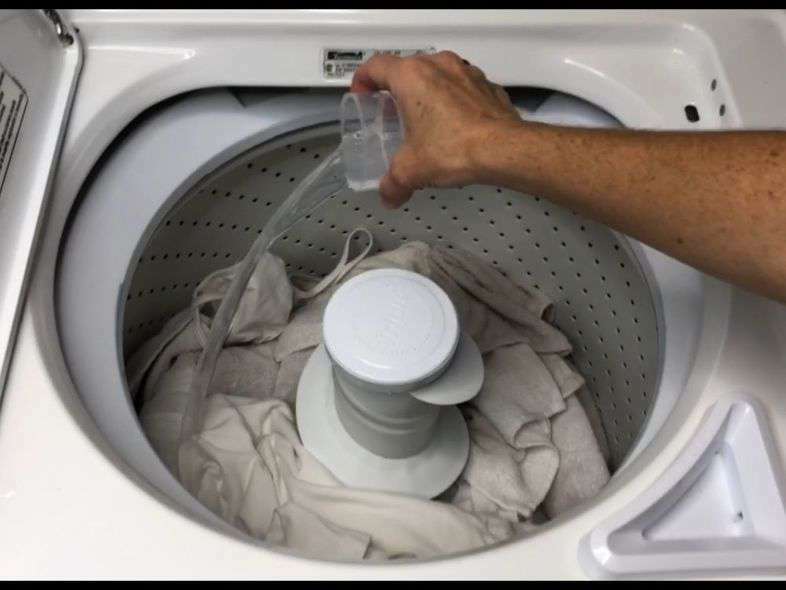 I have been doing some laundry cleaning research lately and I wanted to share a homemade laundry DIY recipes with you. 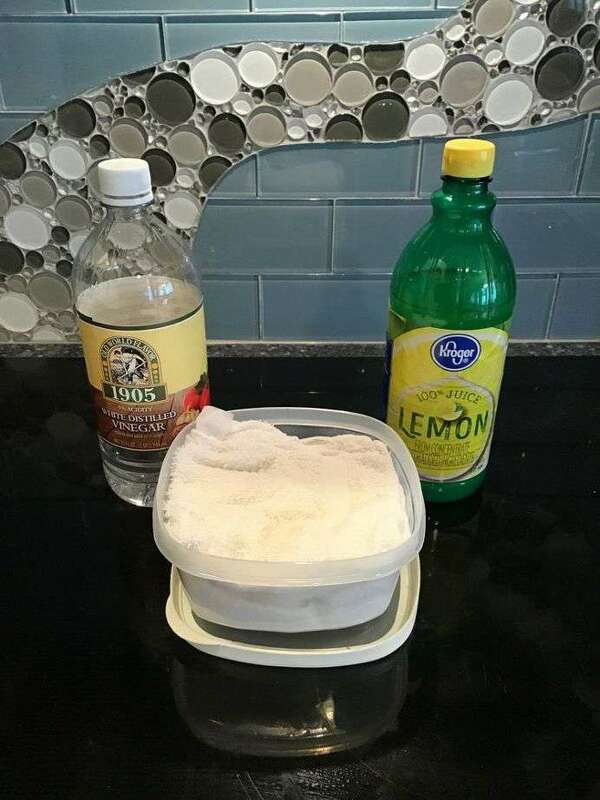 Mix together 1/4 cup Washing Soda, 1/4 cup Borax, 1/4 cup Castile Soap, and 1 gallon water in a container of your choice. Washing Soda (different from baking soda) neutralizes and eliminates odors, enhances your laundry soap, and a natural whitener that is safe for colors. Borax enhances the power of your soap and is a color safe whitener. Castile soap is a natural, non-toxic, multi-purpose vegetable based soap. It’s biodegradable, you can get it scented or unscented, and categorized as a disinfectant and will kill 99% of germs. You would use equal amounts of this as you would any store bought laundry detergent. 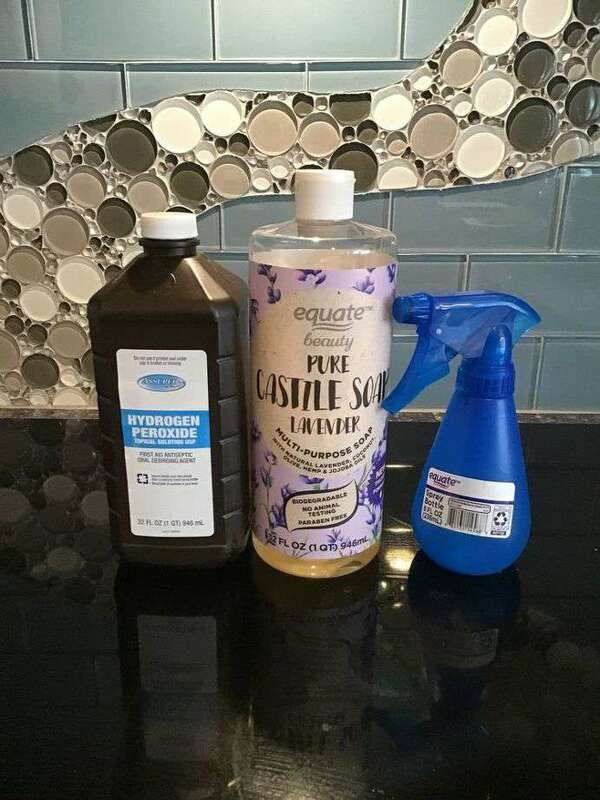 Mix 1/2 cup Castile Soap with 1 cup Hydrogen Peroxide (be sure to use the 3% kind you can buy at the store) and place in a dark squirt bottle. 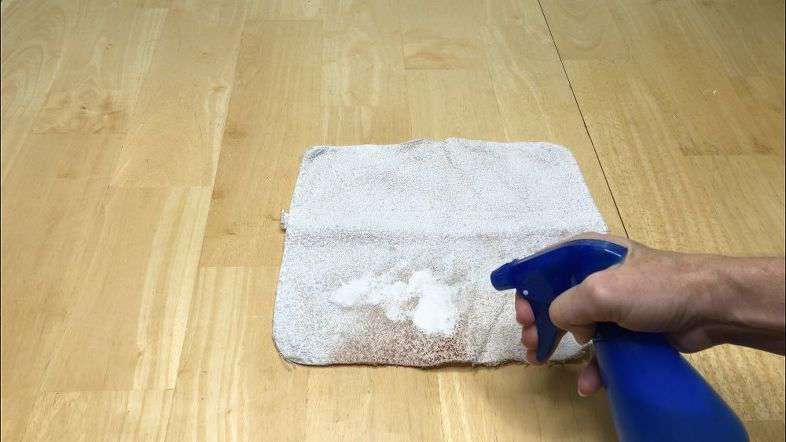 Spray the mixture onto your stain and you can watch it work immediately. I let this one sit for 10 minutes as my son had a bloody nose (sorry). 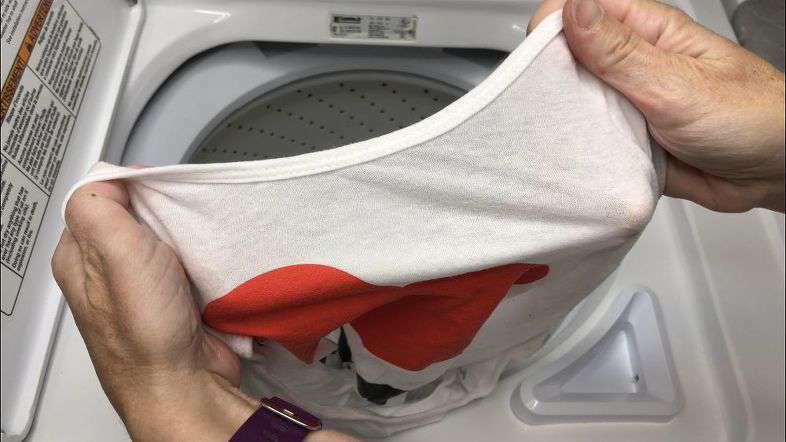 Place it in your wash and it’ll come out clean. 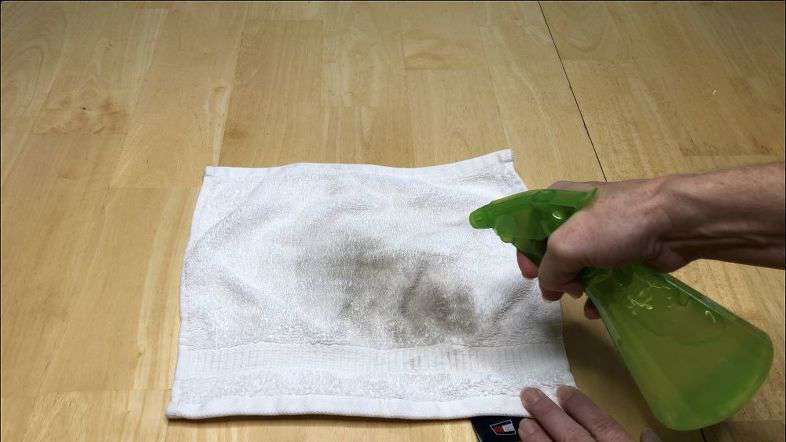 If for some reason the stain persists, repeat the steps and you can soak in this solution as well. 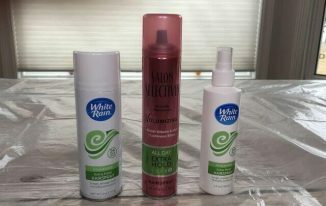 I did test this on color fabrics and it did work without bleaching it out. I didn’t leave it set as long so you might want to test it first for a longer amount of time before letting it soak too long. You can also use a mixture of 1 cup vinegar, and 1/2 cup lemon juice. Spray the mixture on the stains and wait approximately 10 minutes. Use straight Castile or Dawn soap. 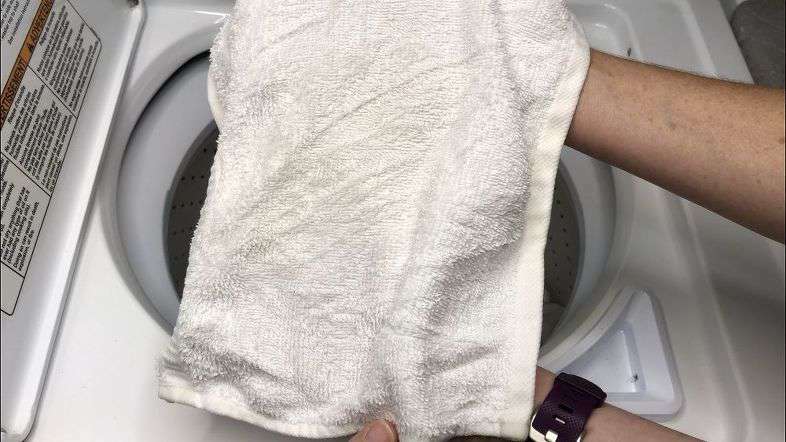 Place a little soap on the clothes, use your finger and scrub into the stain. You can watch it start to work and disappear. Place in wash and it’ll come out clean. *I have noticed that Dawn appears a little stronger than Castile soap. 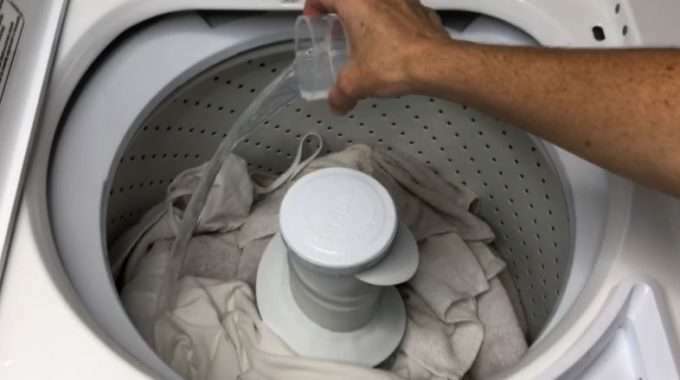 Place 1/2 cup baking soda in with your DIY detergent from above and they will work together to fight that musty smell. Alternatively you can use 1 cup vinegar and 1/2 cup lemon juice with no detergent. 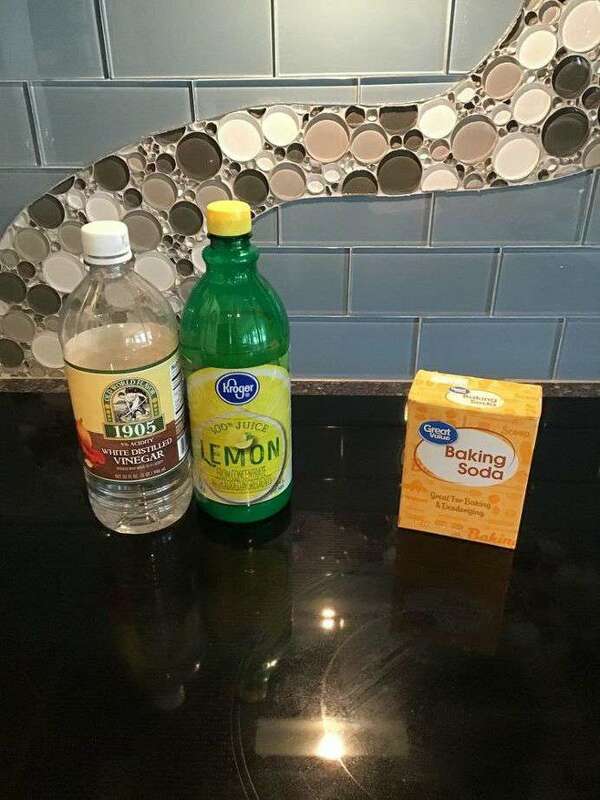 Mix together 1 cup vinegar and 1/2 cup lemon juice. You could use essential oil in place of the lemon juice. In a container place wash clothes or cloths, pour the mixture over the washcloths, and place the lid on top. 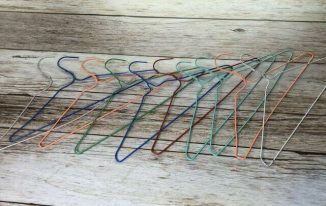 When you are ready to use one, pull it out and stick it in the dryer. Vinegar – this is a natural cleaner and fabric softener. Lemon juice is also acidic so same qualities as vinegar, & added a nice lemon smell. Fill our laundry tub the whites you wish to clean and fill with water. 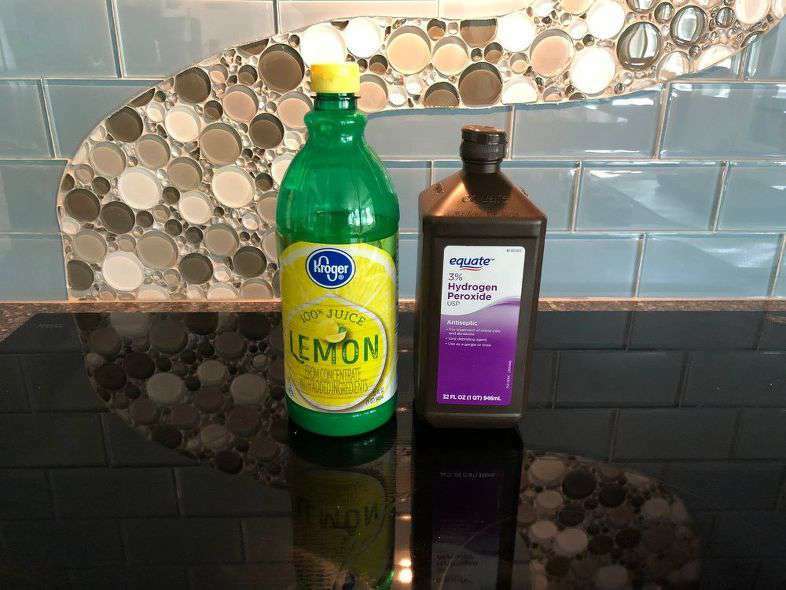 Pour in 2 cups hydrogen peroxide (the 3% kind you can buy at the store), and 1/4 cup lemon juice. Lemon juice is a natural cleaner, breaks down stains, and fabric softener, & added a nice lemon smell. the 1st step laundry detergent do you mix all that in the gal. of water and shake jug ? 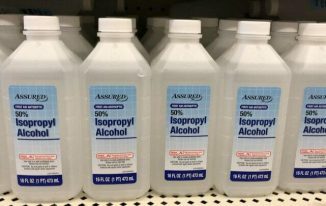 or do you just pour all that in seperately ? 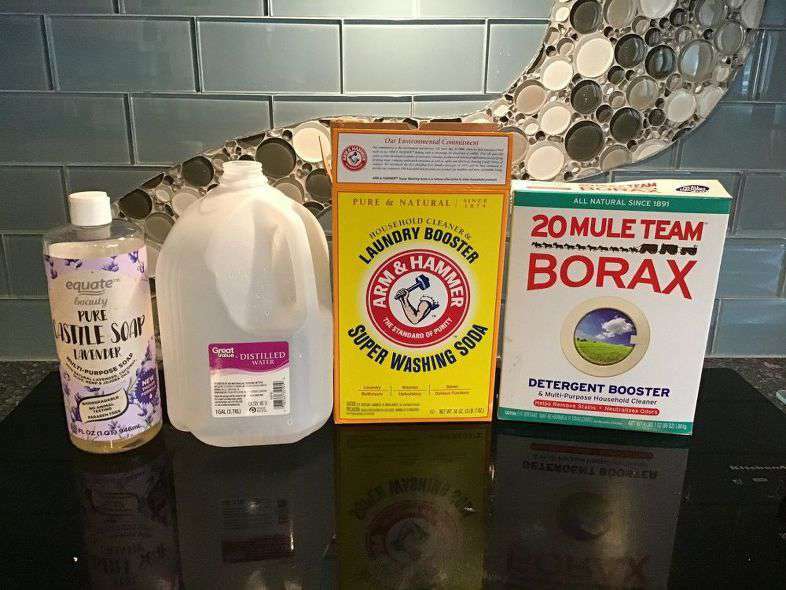 I place the borax and washing soda in a quart of hot water first to dissolve the powders. Then add the other 3 quarts of cold water and soap. You get less sudsing if adding the soap at the end. Fantastic post! Perfect for those with sensitive skin or anyone (including pets) with allergies. Or those that just want to save money and not pay outrageous prices for water and chemicals. I had to do this myself 11 years ago when I acquired a puppy with skin issues that were not food related. Changed my entire laundry process just for her and remains in place today. Thank you so much Naomie! You are so sweet to take care of those pets, I know they love you for it. It’s so much better for us and such a money saver too, I had no idea! Sending you hugs my friend. Chas, you have become my best friend without even knowing. I subscribed to your blog a couple weeks ago and have had such a fabulous time trying out a lot of your ideas. This is actually my first time leaving a comment. So, I hope I didn’t go overboard and freak you out with my excitement. Lol. Thank you for sharing all of your fabulous creations. I am looking forward to future creations. That’s coming from your newest hottest #1 fan. Chas, thank you for those kind words and I love that I made your day. Oh, and thank you for the warm welcome to this crafty creative community. Making new friends is one of my favorite things in life, along with sharing creative ideas with others as well. Ttfn (ta-ta for now) daahhling. Thank you so much Rosie and I am excited you are saving the post – thanks. Laundry detergents leave suds in my HE washer. Maybe this won’t. Thanks for the ideas. Thanks Aletha, and I hope this works for you. From what I have read you should be able to use this in your washer, the key is using the same amount you would normally use with your other detergents. I’m going to have to try some of these. I prefer making my own stuff because I know whats in it. Thank you for sharing these. Thank you Lee, and I hope you enjoy these recipes. I like that they are better for us and that they are saving me a ton of money too. Thanks, Chas, for these tips! 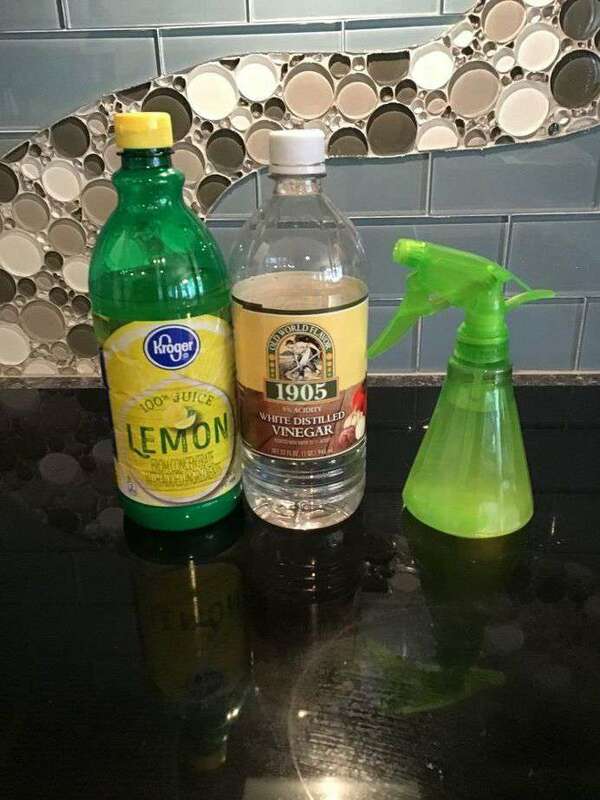 I am so going to make them as I, too, have been wanting to convert to knowing WHAT is in the cleaning products I am going to be using in my home. And, of course, saving money is always on my list! Love seeing your posts in my e-mail! You have done so much work on this important subject. We will feature this on the next Blogger’s Pit Stop. Thank you so much Kathleen and thanks for the feature! See you next week. Great info. I will be pinning this for later reference. Thank you Kippi and I hope this helps you as much as it’s helped me. Love these tips! Thank you for sharing with us at Celebrate Your Story and have a great weekend. Thank you so much Sandra and thanks for hosting a great party. These are all so useful to know. I’m not sure if we can get castille soap here in the UK so I’ll have to do some research. I’d like to give this a try. Thanks. Thank Julie, and we can get it here on Amazon so maybe that will help you too? I’m so excited you want to give some of these a try too. Love these ideas, Chas! They are frugal, environmentally friendly and easy too! Thank you for sharing, and for being a part of the Hearth and Soul Link Party. Hope to see you again this week. Have a great week ahead! Thank you so much April, and I’m glad you think so too. Thanks for hosting a great party and I’ll see you again at the next one. Has anyone tried this? Will the castile soap make too much suds for an HE machine? 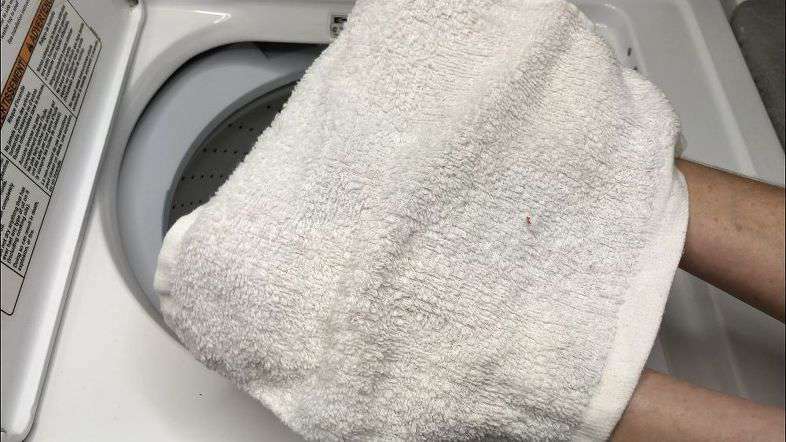 It should work for your HE machine, just match the same amount the mixture as you would use in your HE washer with your regular detergent for it. Hi Ana, thank you. Acidity in the lemon juice works well with the vinegar and it can add a scent that is more pleasant than vinegar for some people. If you were to use oils instead of the lemon juice it is just for the scent. As far as how many drops – it’s really a personal preference. Start with less and you can always add more. Other options for scent – natural food flavorings like vanilla, lemon, are options too – again purely for scent.